I am very happy as passed my driving test first time on Tuesday 16 April 2019. I had an instructor before but failed my test. My brother recommended me to aDriving as he had lessons with them and had a very good experience. My driving instructor was very good, experienced and professional. He taught me in a progressive way. He is the best instructor in town. I only took few driving lessons in Kettering and he explained me everything in detailed and got me ready for the test just in few days. Thank you so much for being patient. Definitely recommend to all my friends and family. Big congratulations goes to Sandeep Kumar from Wellingborough. He was recommended by his brother Sameer who had lessons with us. Sameer wife is also having lessons with aDriving. 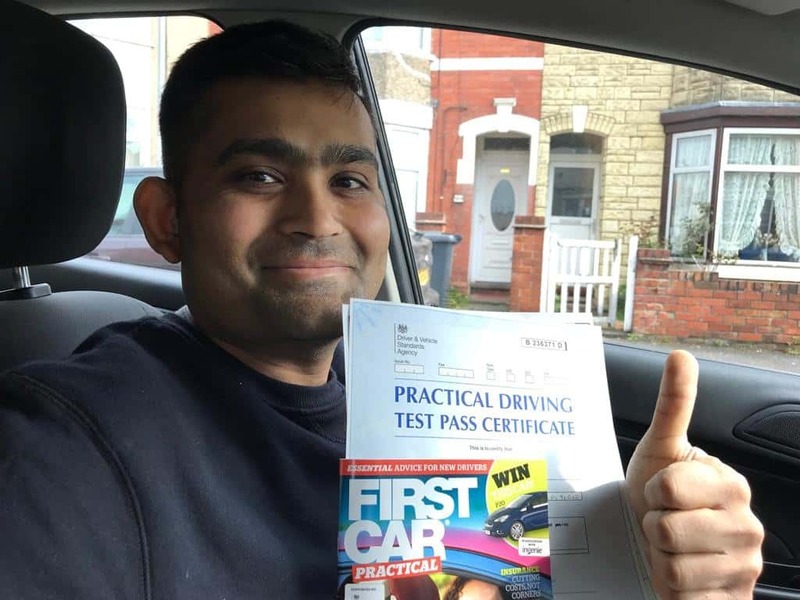 Sandeep had one test attempt with a different driving school in Wellingborough but unfortunately failed his test. He then booked an assessment lesson with one of our best and experienced driving instructor who advised him to book his test again. Sandeep had few bad habits especially not positioning properly on the roundabout, not checking mirrors and speeding. Our instructor applied client-centred approach and worked together to fixed these bad habits. Instructors took him on all the big and confusing roundabouts in Kettering including double roundabout where two roundabouts are close together and he passed on the first attempt. He had 7 minor driving faults. Get in touch for pay as you go driving lessons and intensive driving courses in your area(s). Find us on facebook, linkedin, twitter, pinterest and instagram.